The American Society of International Law hosts a Midyear Meeting annually in late October or early November. The meeting encompasses several events, including leadership meetings of the Society's Executive Council and the Board of Editors of the American Journal of International Law; the Research Forum, which features cutting-edge international law scholarship by more than 70 authors; and programming for practitioners. The Midyear Meeting has been held since 2010 in Miami, Los Angeles, Athens & Atlanta, New York, Chicago, Washington, DC, Seattle, St. Louis, and Los Angeles. This year's meeting will be held in Brooklyn, New York, November 7-9. 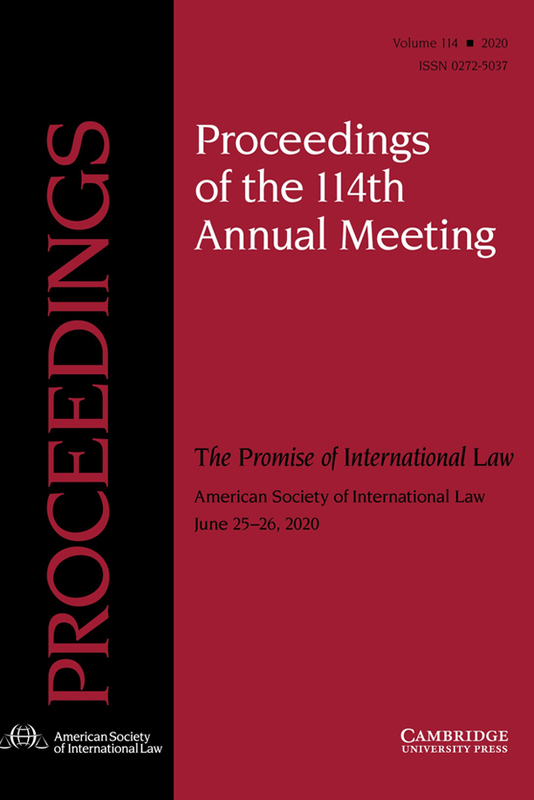 The American Society of International Law is pleased to announce that it is accepting proposals from academic institutions interested in hosting the 2020 Midyear Meeting of the Society. 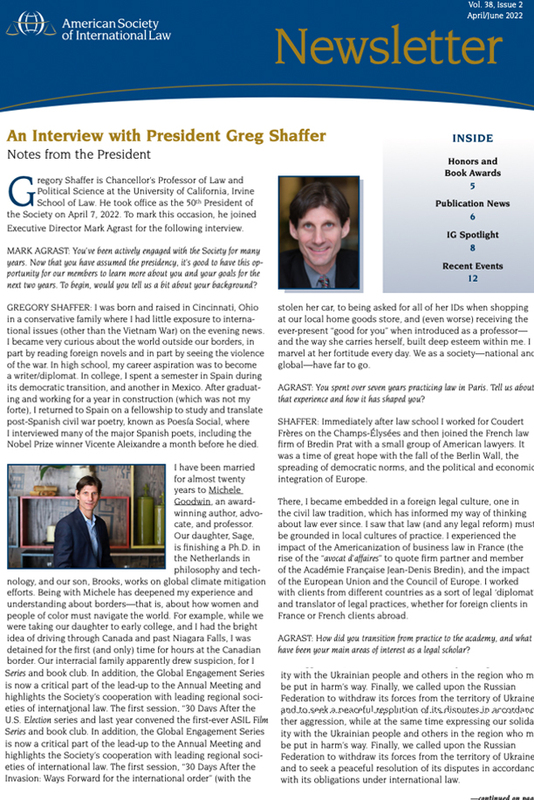 The Midyear Meeting is held annually in late October or early November and encompasses several events, including leadership meetings of the Society's Executive Council and the Board of Editors of the American Journal of International Law; the Research Forum, which features cutting-edge international law scholarship by more than 70 authors; and the Practitioners' Forum, focused on providing substantive international law programming to the local legal community. The Midyear Meeting has been held since 2010 in Miami, Athens & Atlanta, New York, Chicago, Washington, DC, Seattle, St. Louis, Los Angeles, and Brooklyn. Interested applicants should reference the included Host Institution Cooperation document for specific details on the benefits and obligations of hosting the Midyear Meeting. Institutions interested in hosting the 2020 Midyear Meeting should submit the following requested information in a single PDF submission to submissions@asil.org by 5 p.m. ET on Monday, September 16, 2019. 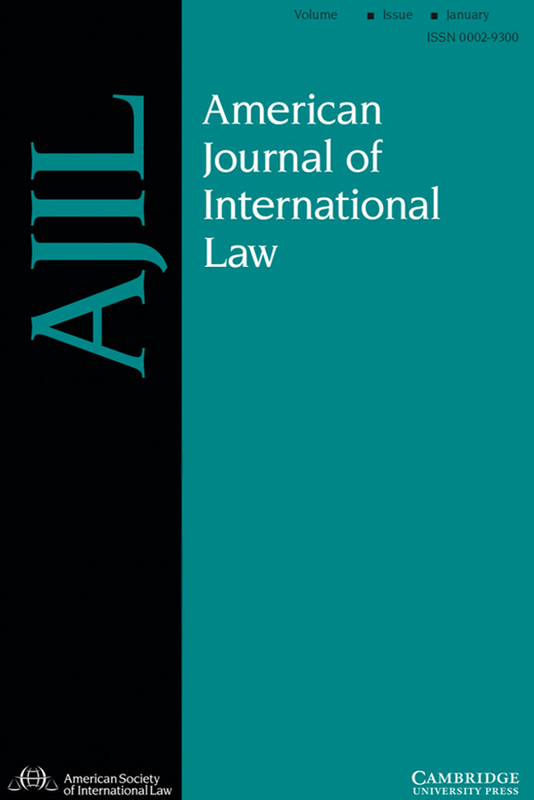 The American Society of International Law calls for submissions of scholarly paper proposals for the 2019 ASIL Research Forum to be held at ASIL Academic Partner Brooklyn Law School in Brooklyn, NY. 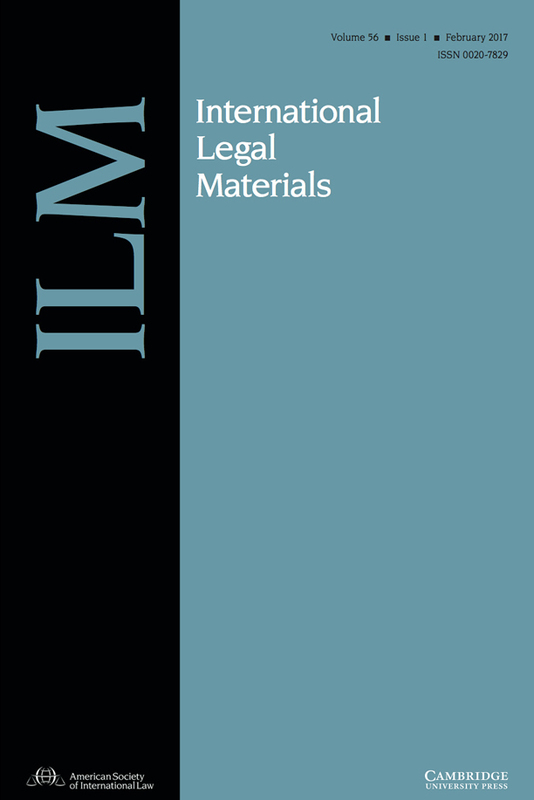 Papers may be on any topic related to international and transnational law and should be unpublished (for purposes of the call, publication to an electronic database such as SSRN is not considered publication). Interdisciplinary projects, empirical studies, and jointly authored papers are welcome. Proposals should be submitted below by Monday, May 13, 2019. Interested presenters should submit an abstract (no more than 500 words in length) summarizing the scholarly paper to be presented at the Forum. Abstracts will be considered via a blind review process. Papers that do not follow these guidelines will not be considered. Notifications of acceptance will go out in early June. Papers accepted for presentation will be assembled into panels. The organizers welcome volunteers to serve as discussants who will comment on the papers. All authors of accepted papers will be required to submit a draft paper four weeks before the Research Forum (Thursday, October 10). Accepted authors must commit to being present on both Friday, November 8 and Saturday, November 9, 2019. Draft papers will be posted in advance of the Forum on the Midyear Meeting App, accessible only by participants in the Meeting. a person who received a graduate degree not more than five years prior to the date of the Research Forum at which the paper is presented. In addition, student or early career authors of accepted abstracts will have the option to apply for a limited number of David D. Caron Fellowships, designed to provide financial assistance to individuals who would not otherwise be able to attend and present their scholarship. More information about these fellowships will be circulated to accepted authors. Papers must actually be presented at the Research Forum to be eligible for the Prize and must be submitted one week earlier than the normal deadline, Thursday, October 3, in order to allow the Prize Committee time to read the papers that qualify for consideration. Papers not received by that date will not be considered for the Prize. Co-authored papers are eligible for consideration provided all the co-authors meet the requirements stated above. The Prize recipient will be announced at the Research Forum and will receive a travel stipend to attend the Society's 2020 Annual Meeting, where the Prize will be formally presented. I would like my paper to be considered for the 2019 David D. Caron Prize. I affirm that I meet the stated eligibility requirements (currently enrolled or within five years of graduation (at the time of the 2019 Research Forum) from a graduate program; intent to attend the Research Forum to present; and early submission of paper for review by prize committee). Please limit your abstract to 500 words.